Deborah Boisselle, vice president of investments for Citizens Wealth Management Group Ohio, shares her market forecast for 2019. BLUFFTON — December was a bad month in what was a volatile year for the stock market. While the market has improved, Deborah Boisselle, vice president of investments for Citizens Wealth Management Group Ohio, expects more volatility in 2019. 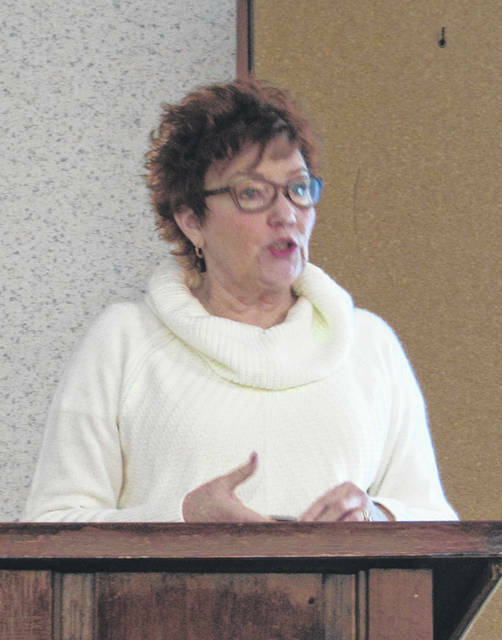 Boisselle spoke to a small crowd in Bluffton on Thursday as part of a CWMG seminar on the economy and stock market for 2019, the final installment of which will take place at the Shawnee Country Club at noon next Thursday. Is a recession imminent in 2019? Boisselle doesn’t think so, yet. But she cautioned the audience to remember that the U.S. economy is now 10 years into a bull market that may soon become the longest-running expansion on record. “The last few years have been go, go, go, go, and the market has just driven itself in some respects, so we’re going to get back to talking about what normally drives markets and market cycles … economies and markets tend to run in cycles, whether we like it or not,” she said. That means it might be a good idea to shy away from risky investments, Boisselle said. But she pointed to continued business and consumer spending as evidence that the economy will likely continue growing this year, and that should be good news for the stock market, too. “If the economy is still growing, nine times out of 10 the stock market is still growing as well,” she said. The government shutdown likely had a negative impact on the economy, but Boisselle said it’s too soon to quantify the full effect.